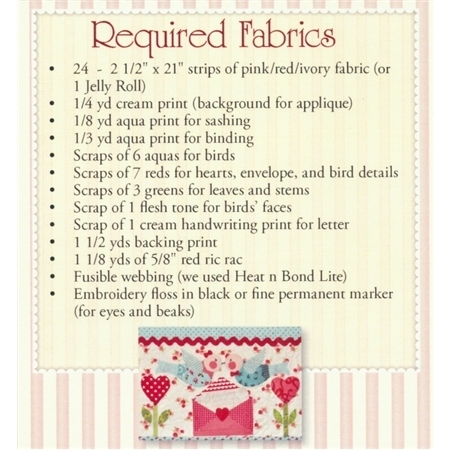 This Shabby Fabrics Exclusive design is a fun Valentine's Day table runner. Appliqued ends featuring lovebirds and a love letter and simple patchwork combine for a sweet result. Pattern includes all instructions for the 18 1/2" x 51 1/2" project. This project is jelly roll friendly!